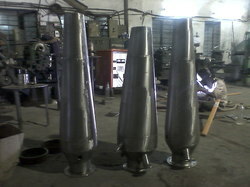 We are a leading Manufacturer of industrial burners from Pune, India. Ours is an illustrious organization that is engaged in manufacturing, supplying and trading a vast array of Industrial Burners. All these products are manufactured under the close supervision of highly experienced professionals. Besides, we make sure that the consignments are delivered at customers' destination within the scheduled time period using easy shipment modes.